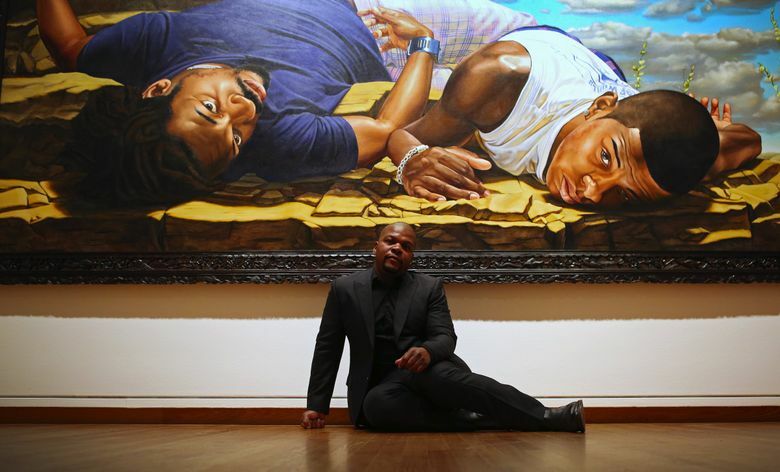 Kehinde Wiley became an art-world star for his portraits that depicted African-American men instead of aristocrats and saints in Old Masters-style paintings. Now he’s getting a retrospective at Seattle Art Museum. With a brush stroke, Kehinde Wiley toppled Napoleon. 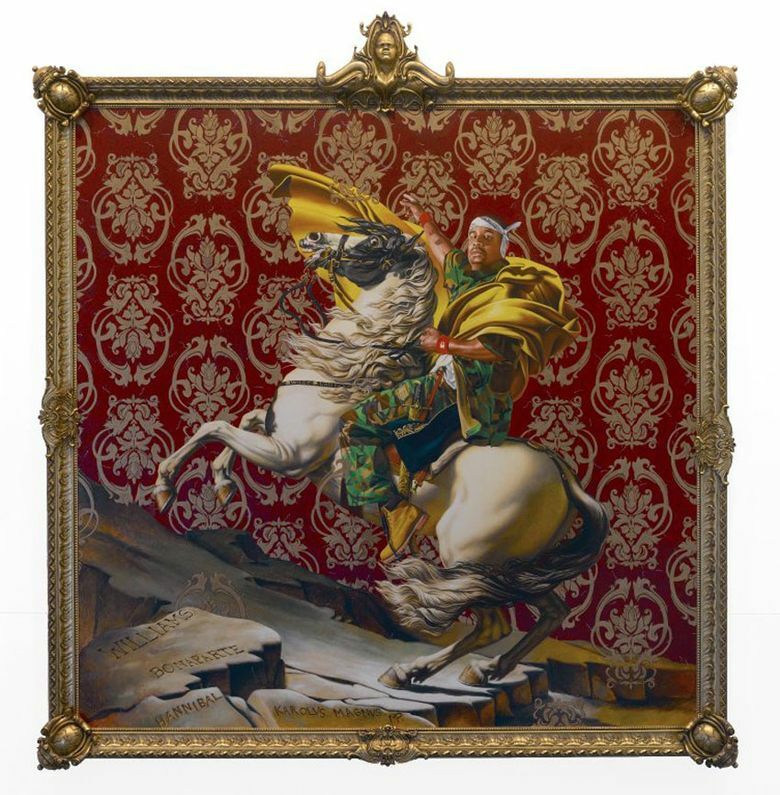 His 2005 painting “Napoleon Leading the Army Over the Alps,” is 9-feet-tall, 9-feet-wide, set in a gilded frame and features an African-American man astride a white horse. In place of tights and formal military wear, the subject is wearing his own clothes: army fatigues, a bandana and Timberland boots. 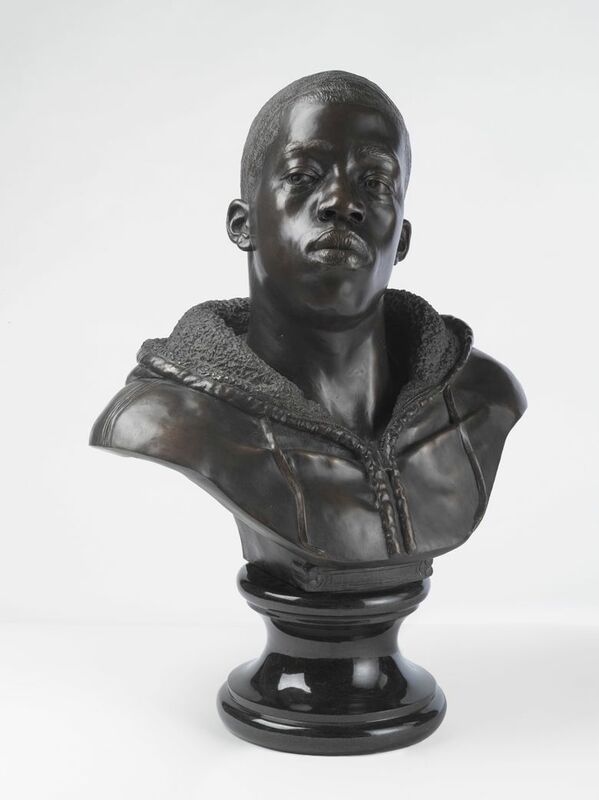 Wiley’s guiding concept is a seemingly simple one — he substitutes African-American men from the streets of Harlem or Brooklyn in the place of aristocrats in Old Masters-style paintings. 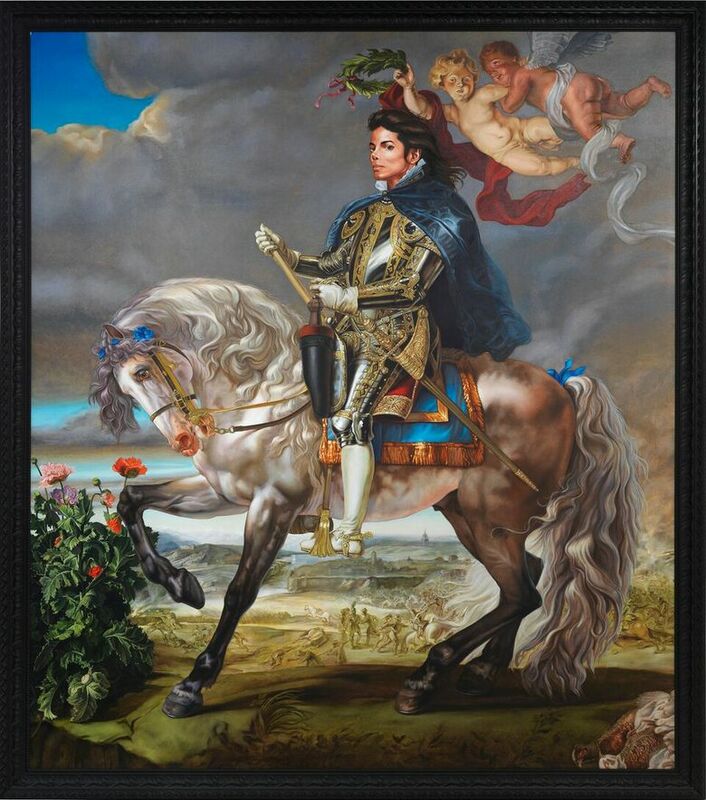 In the process, he turns an art-world tradition of depicting race, power and prestige on its head. “Napoleon” was part of a 2005 show called “Rumors of War” that helped make Wiley a star. Now 38 years old, he’s already the subject of a career retrospective. 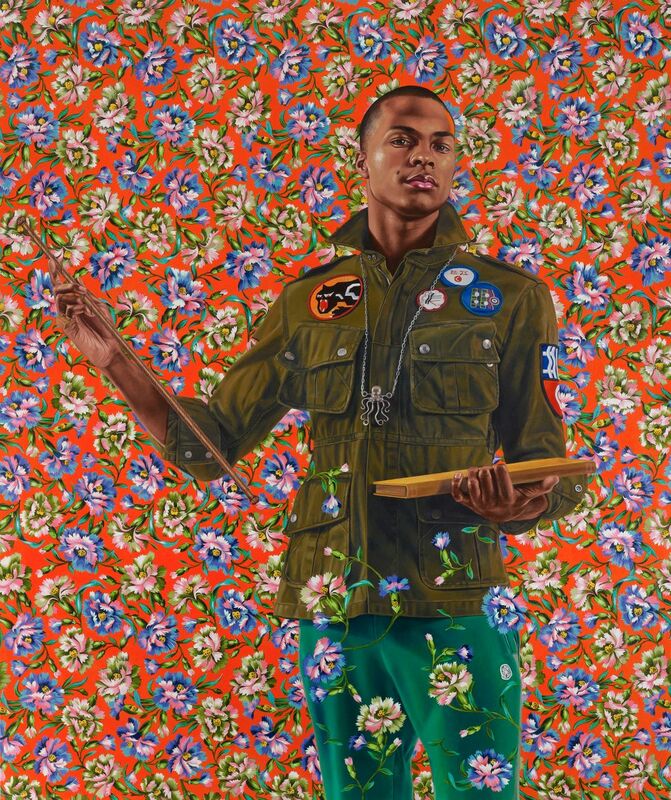 “Kehinde Wiley: A New Republic” opens at Seattle Art Museum this week (Thursday, Feb. 11), running through May 11. Featuring 60 works, the exhibition comes from the Brooklyn Museum. 10 a.m.-5 p.m. Wednesdays-Sundays, until 9 p.m. Thursdays, from Feb. 11 to May 11, Seattle Art Museum, 1300 First Ave., Seattle; suggested donation $12.95-$19.95 (206-654-3100 or seattleartmuseum.org). Wiley’s “Arms of Nicolas Ruterius, Bishop of Arras” swaps a French bishop’s 16th-century heraldry for a young man wearing an “8” on his vest. 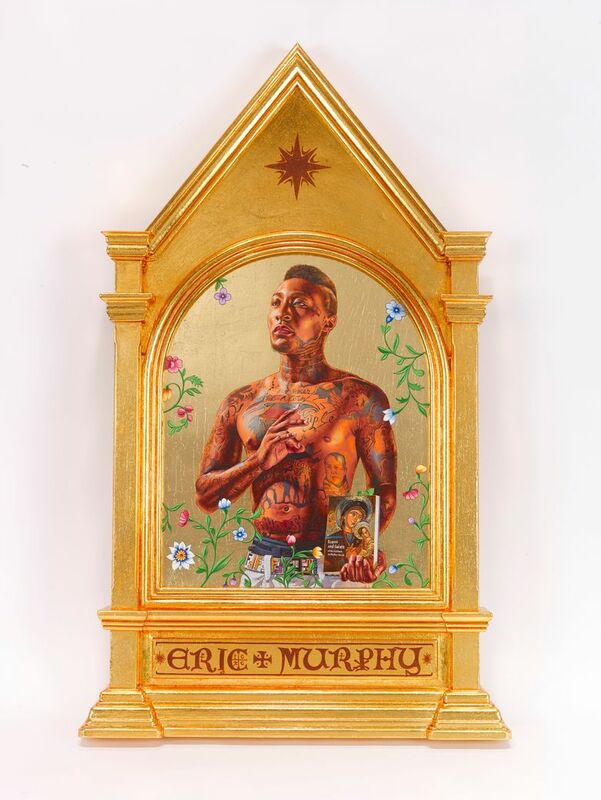 But Wiley also has his share of critics: Three years later, another New York Times writer described those paintings as “campy, gaudy shams.” And some art critics — such as Ben Davis and Chloe Wyma — charge that in the age of Black Lives Matter, Wiley doesn’t push social justice themes far enough. After graduating from Yale in 2001, he became an artist-in-residence at Harlem’s Studio Museum, where his paintings of black men with swirling, surrealist Afros caught the notice of gallerists such as Roberts and Jeffrey Deitch. But when he shifted his focus to draw from the Old Masters and started “street casting” subjects for his portraiture, his career caught fire. 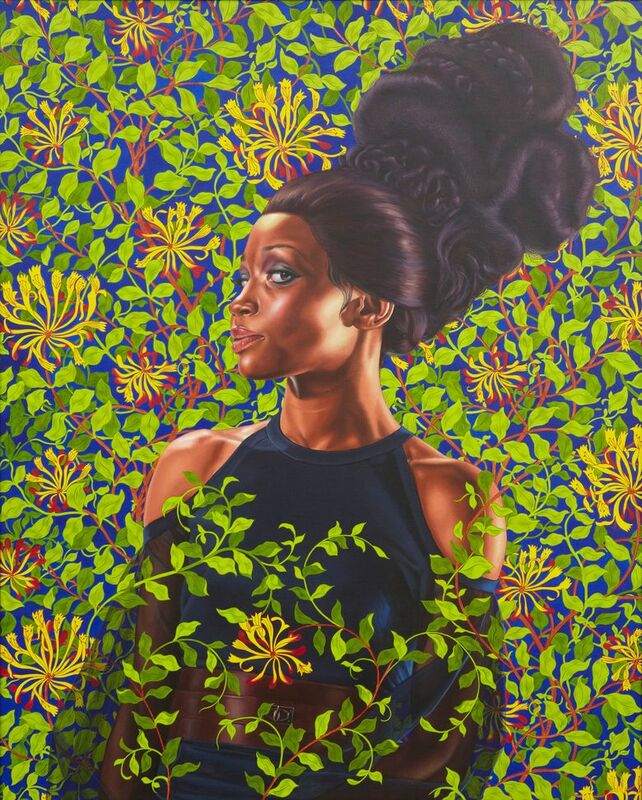 “I love the fact that African Americans are represented in situations where only white people previously were recognized,” said Los Angeles art collector Blake Byrne, who owns several Wiley pieces. For his 2008 show “Down,” Wiley portrayed men in supine poses, oftentimes putting them in the place of women in classic works, their languid, sensual bodies contrasting machismo with feminine eroticism. 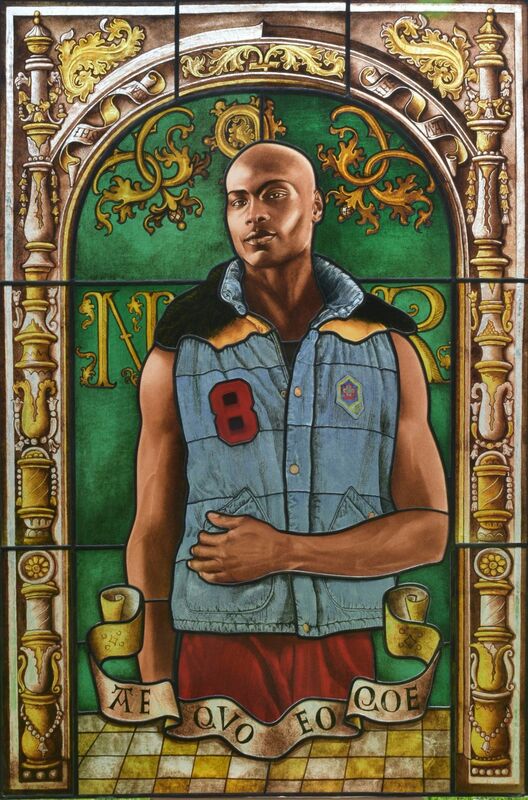 For his 2013 “Anthony of Padua,” Wiley asked a young New York man wearing a Black Panther patch to match the pose in a stained-glass window from a Parisian church. Street casting women proved to be particularly challenging. He was met with hostility, even with a PBS camera crew and female assistants in tow. Though the paintings revisit a centuries-old art form, Wiley’s methods are contemporary: A photographer shoots thousands of images, which are color-corrected and manipulated, and assistants help with the intricate floral backgrounds. He likens his studio system to Gainsborough, Rubens and Warhol. 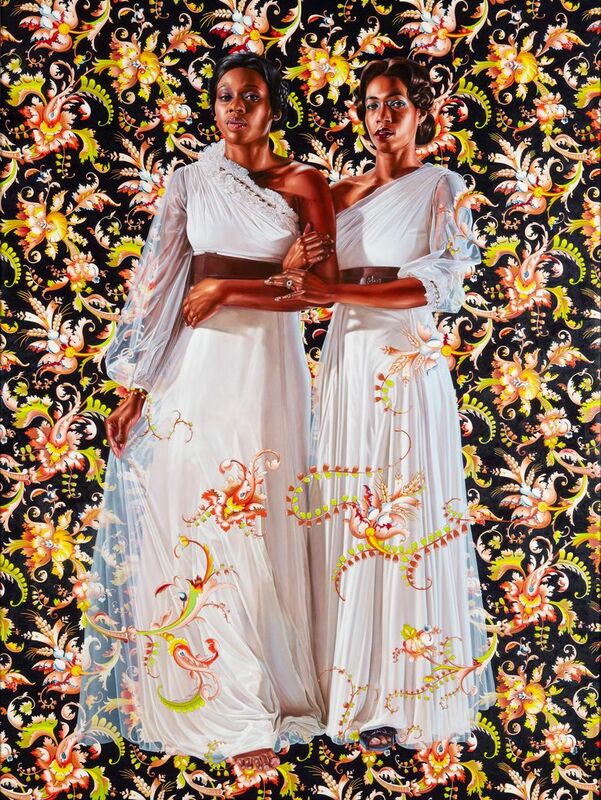 “The portrait, in a very simple way, reveals all the myriad ways of telling someone’s personal story,” Wiley said. Tricia Romano: tromano@seattletimes.com; on Twitter @tromano.